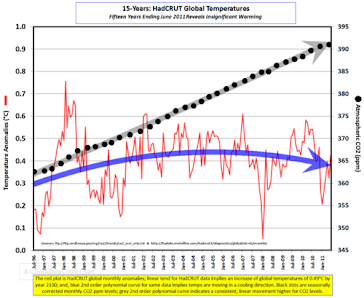 Climate Common Sense: The Bear Facts! 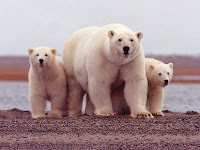 Despite an unrelenting campaign by greenies and the EPA to paint the polar bear as a casualty of a minute amount of global warming it seems that the bear population is thriving with numbers in one area surveyed increasing from 800 to 2100. Their status ranges from a "vulnerable" to "endangered" and could be declared "threatened" if the U.S. decides the polar bear is collateral damage of climate change. Nobody talks about "overpopulated" when discussing the bears' outlook. Yet despite the Canadian government 's $150-million commitment last week to fund 44 International Polar Year research projects, a key question is not up for detailed scientific assessment: If the polar bear is the 650-kilogram canary in the climate change coal mine, why are its numbers INCREASING? The Inuit have always insisted the bears' demise was greatly exaggerated by scientists doing projections based on fly-over counts, but their input was usually dismissed as the ramblings of self-interested hunters. A US Senate report has the polar bear population at 20,000 to 25,000 bears up from 5,000 to 10,000 bears in the 1960's and noted that the bear population " may be near historic highs". The United States Fish and Wildlife Service is considering listing the polar bear a threatened species under the Endangered Species Act. This report details the scientists debunking polar bear endangerment fears and features a sampling of the latest peer-reviewed science detailing the natural causes of recent Arctic ice changes. The U.S. Fish & Wildlife Service estimates that the polar bear population is currently at 20,000 to 25,000 bears, up from as low as 5,000-10,000 bears in the 1950s and 1960s. A 2002 U.S. Geological Survey of wildlife in the Arctic Refuge Coastal Plain noted that the polar bear populations “may now be near historic highs.” The alarm about the future of polar bear decline is based on speculative computer model predictions many decades in the future. 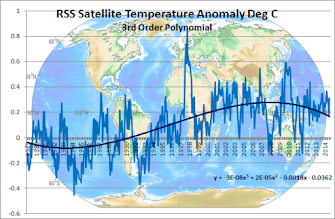 And the methodology of these computer models is being challenged by many scientists and forecasting experts.